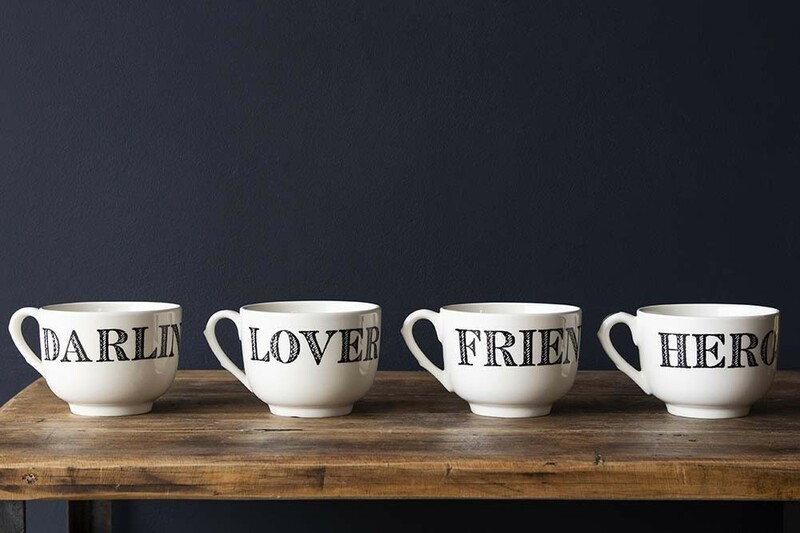 An extra-large mug, the Giant Traditional Style Mug is ideal for those of you who drink tea by the gallon or love a warming hot chocolate with all the naughty toppings! 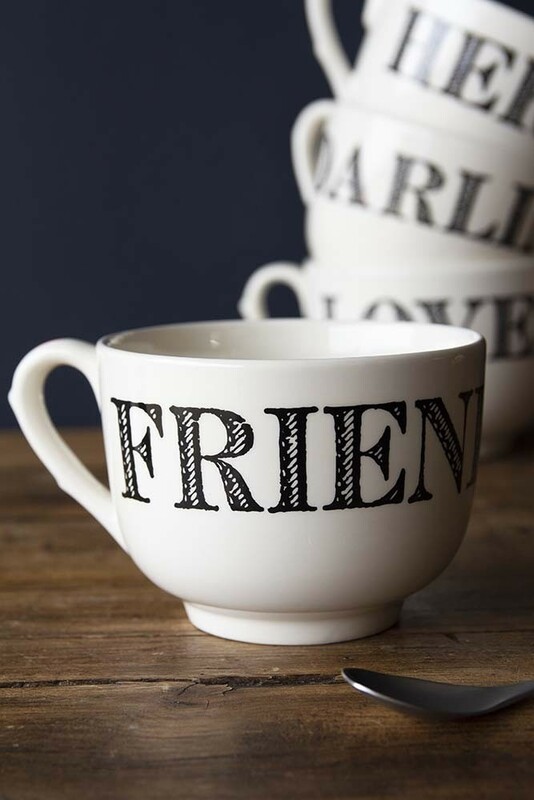 A gorgeous ceramic featuring the words ‘Friends’ printed across one side the Giant Traditional Style Mug will look great on open shelving in the kitchen and will take your breakfast or brunch table spread to the next level. 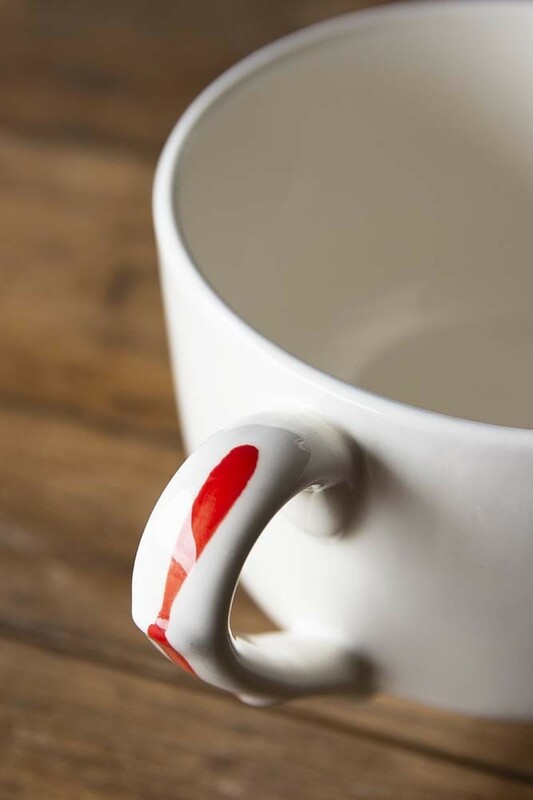 So beautiful, the gorgeous Giant Traditional Style Mug will make your tea and coffee taste that little bit better – after all, what you see is what you taste! 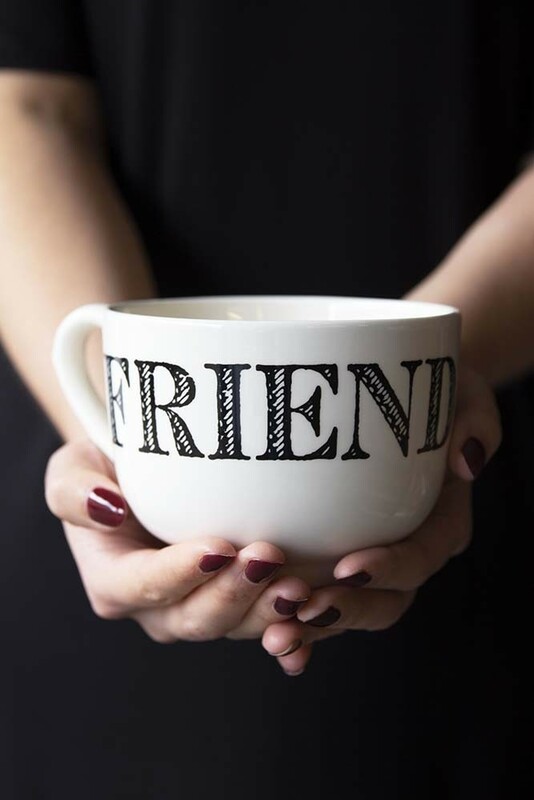 A fabulous mug, we think that the Giant Traditional Style Mug would make a wonderful gift choice for your best mates and friends.